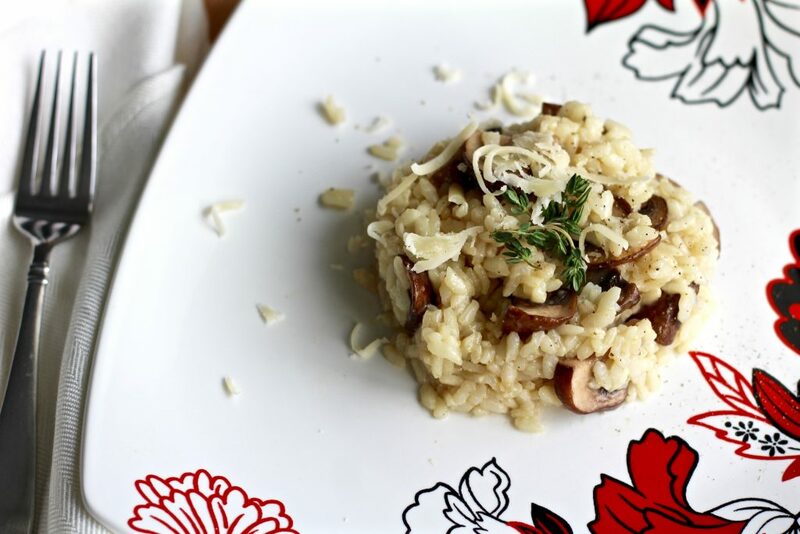 Risotto is probably one of the best things you can do with rice, and this classic mushroom risotto is my favorite recipe. 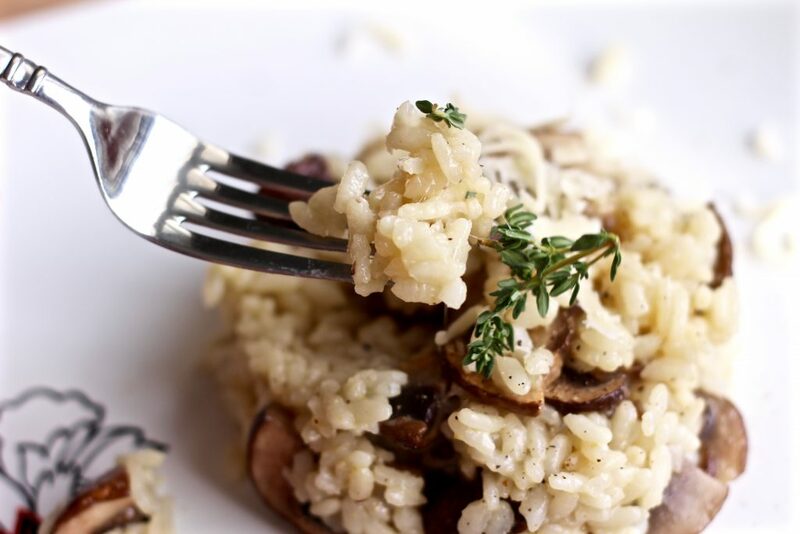 Being a mushroom lover, I just couldn’t resist adding some mushrooms to this creamy and saucy rice side dish (or entree??). 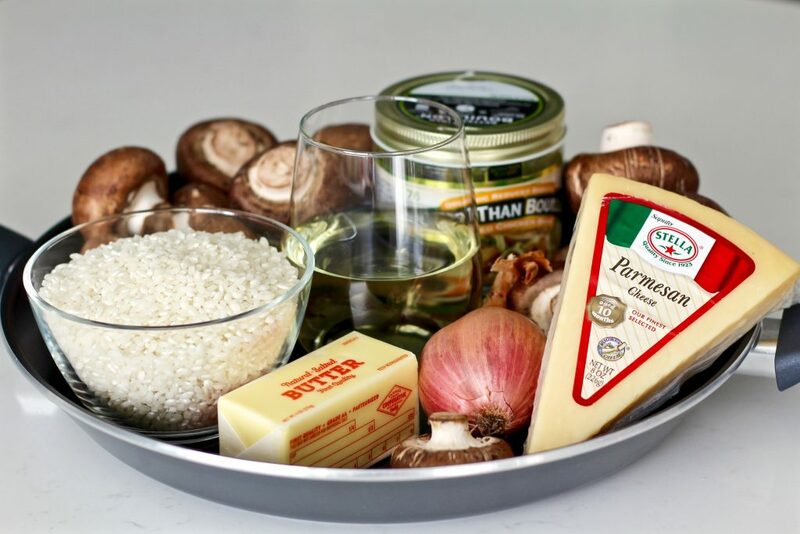 Although it may sound like a complicated dish, risotto is rather simple and doesn’t take any special skills to make. It’s basically just rice cooked in a skillet by gradually adding liquid. If you can handle a ladle and know how to stir you’re ready to go! It has just the right amount of white wine needed to add acidity to the dish (most recipes don’t call for enough). The parmesan cheese added at the end makes it extra creamy and saucy. 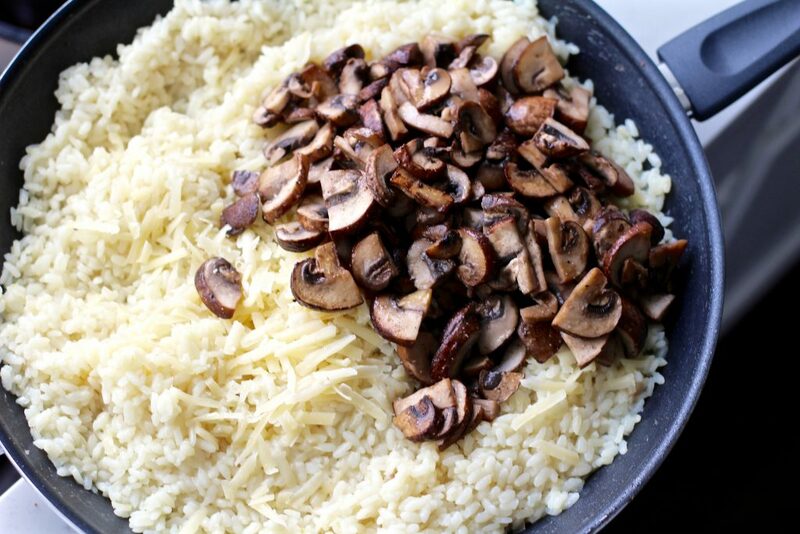 Cooking the mushrooms separately and adding them in at the end allows you to brown them well without overcrowding and achieve the perfect texture (not too chewy or rubbery). 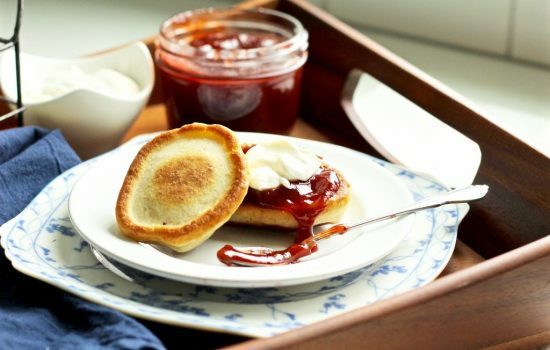 The right ingredients are very important in this recipe! 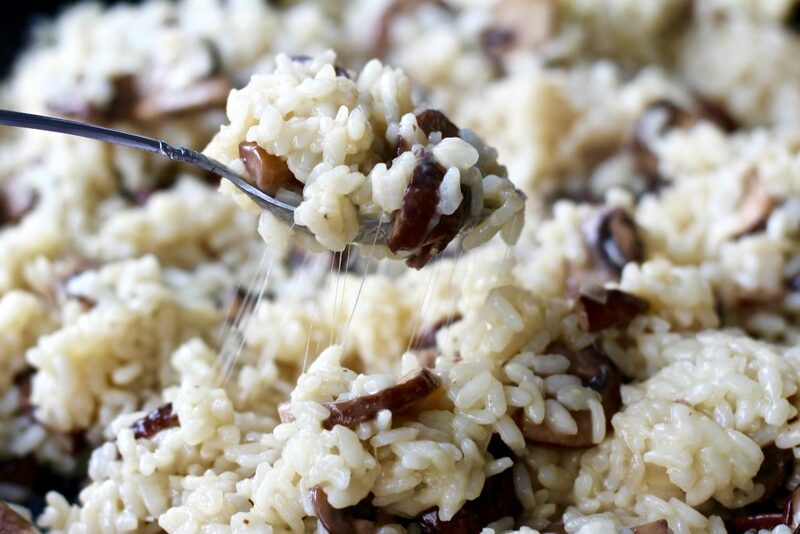 Make sure you use a short grain white rice (like arborio or pearl rice). 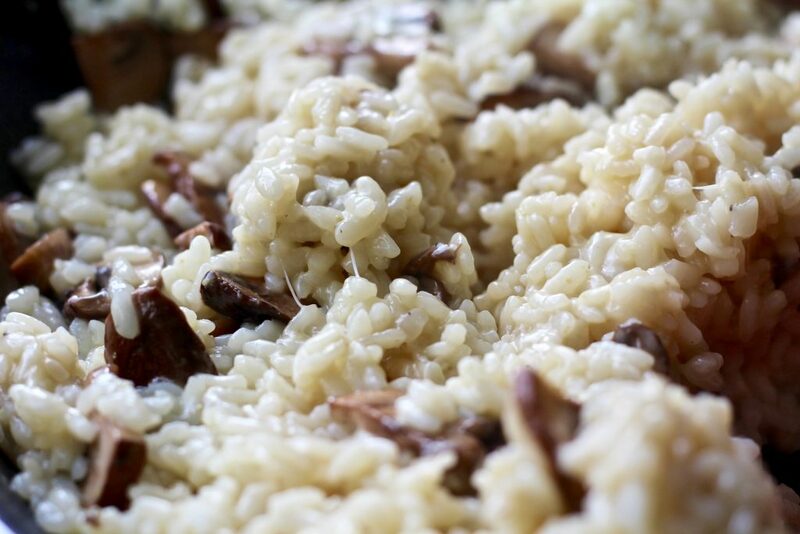 Brown rice simply won’t work because it doesn’t have the same level of starchiness that’s needed to make the risotto saucy and creamy. 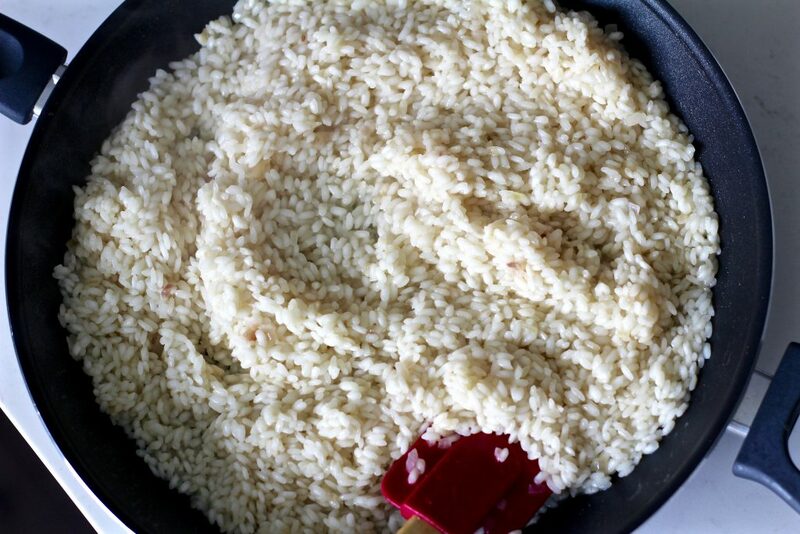 Long grain white rice like basmati or jasmine is also too low on starch and doesn’t turn out quite right. Heat 5 cups of chicken stock in a small pot and bring to a simmer. This will remain on the stove next to your risotto pan as you cook. This is what my work station looks like when I make risotto! 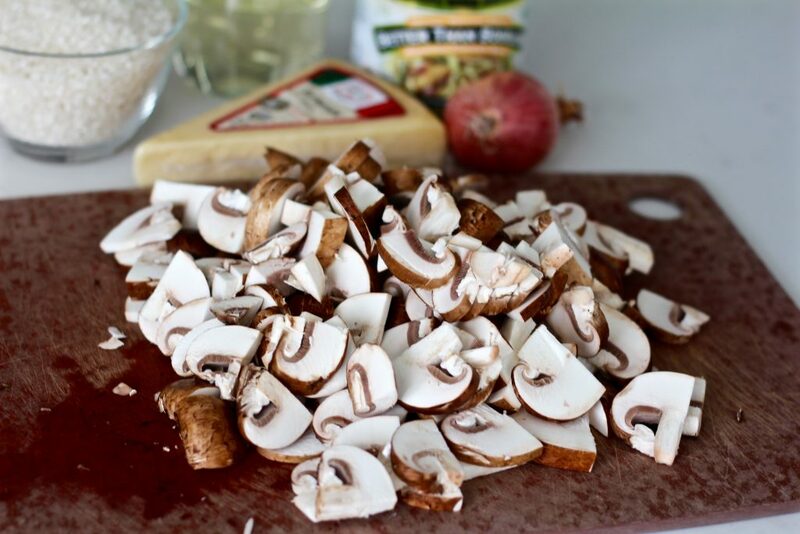 Clean mushrooms with a damp paper towel, trim stems, and slice. Pre-heat a large skillet to medium-high heat. 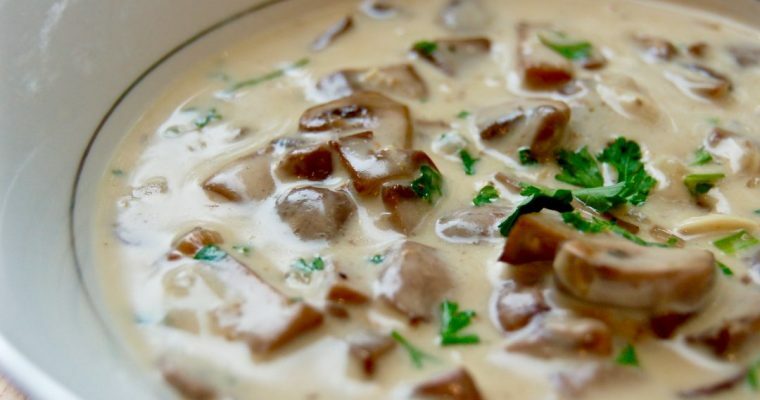 Melt 1 tablespoon of butter in the pan, then add sliced mushrooms. Cook mushrooms until any liquid is gone and they begin to brown. Season lightly with salt, garlic powder, and pepper. 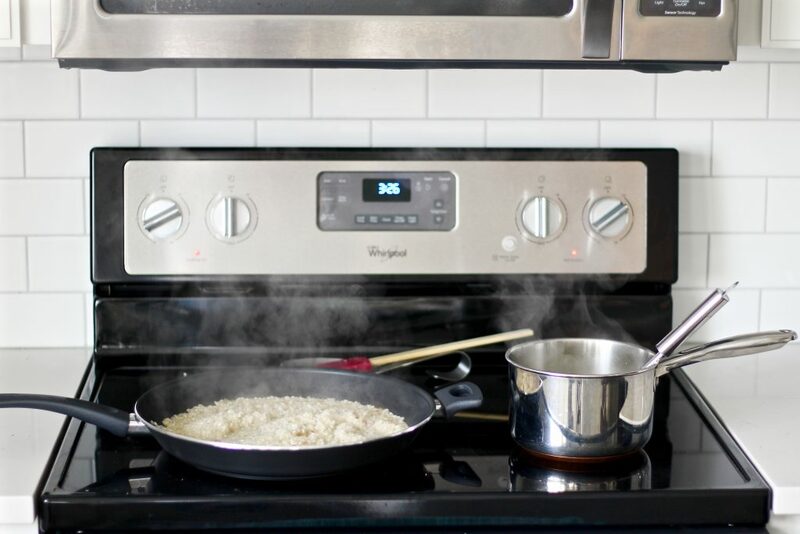 In the same pan, reduce heat to medium and melt remaining 2 tablespoons of butter. 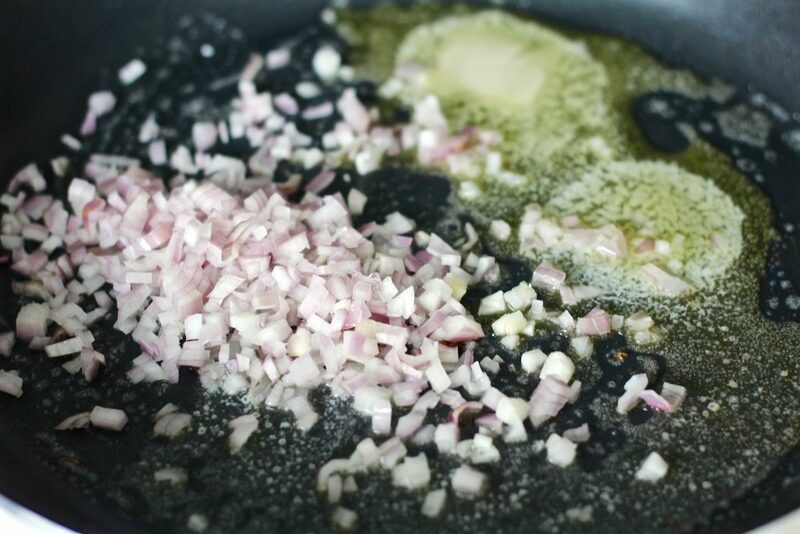 Add the minced shallot and cook for 1-2 minutes until translucent– before it starts to brown. 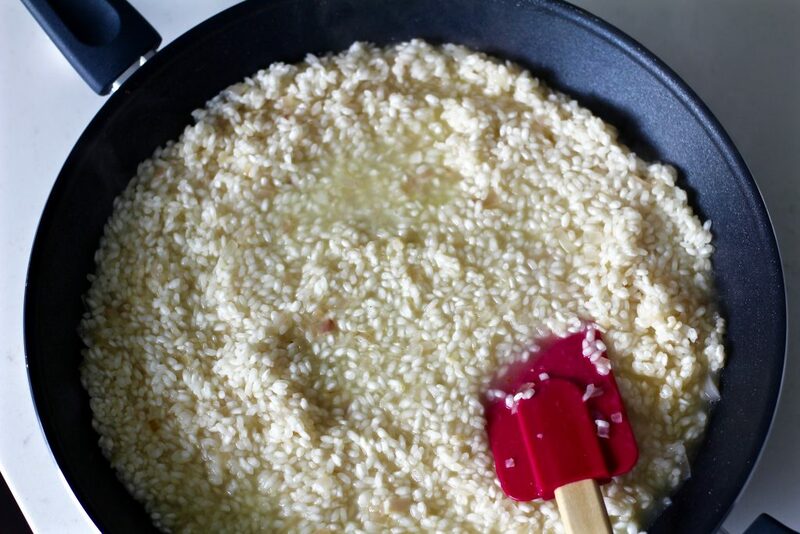 Mix in the 2 cups of white rice until thoroughly coated with butter and shallots. Pour in the white wine and stir until most of the liquid has been absorbed. Use a ladle to add in about 1/2 cup of chicken broth at a time. 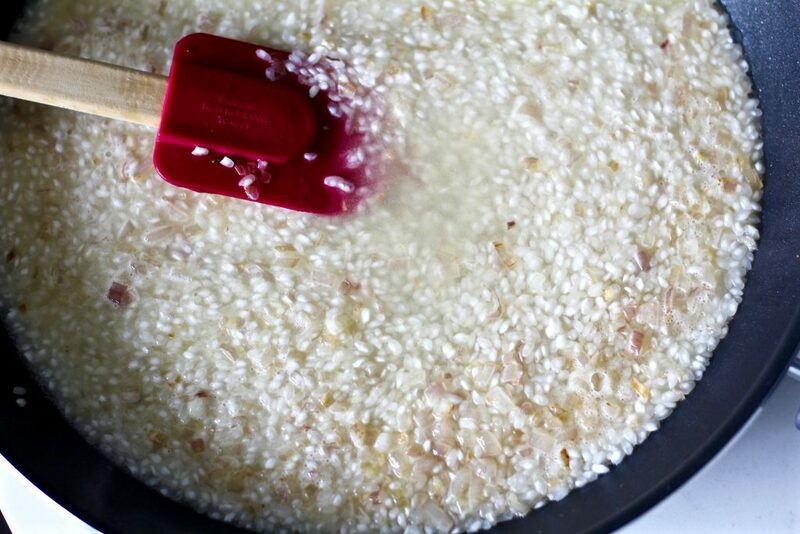 Stir and allow the rice to absorb the liquid before adding more. 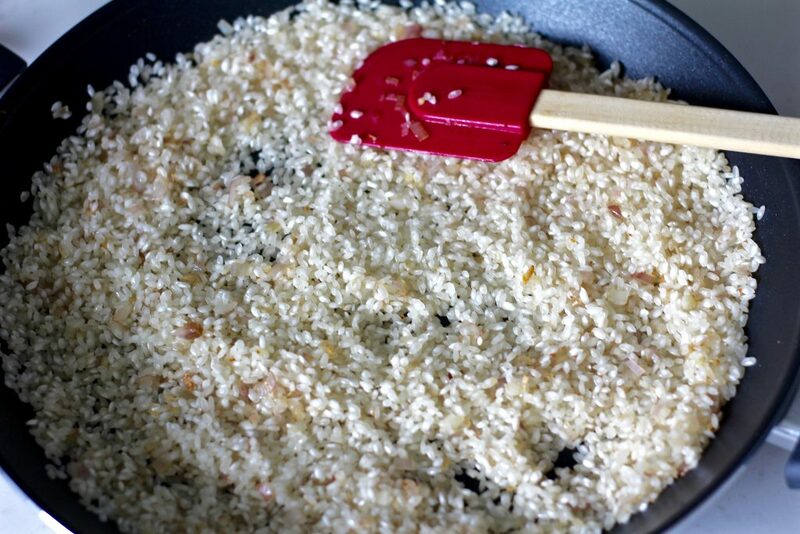 The rice begins to expand as it absorbs more liquid. After adding the final 1/2 cup of broth, remove from heat before the liquid is fully absorbed. Sprinkle in the shredded parmesan and mix in the cooked mushrooms. 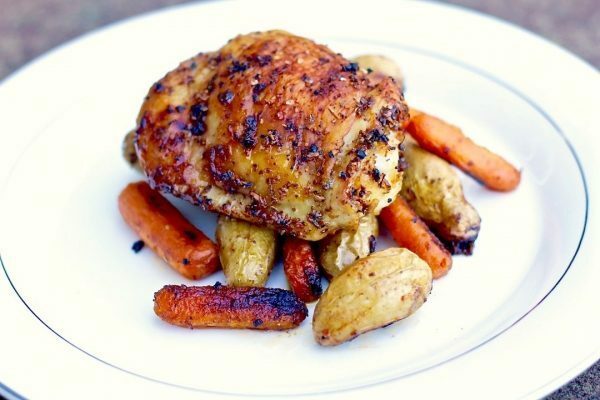 Top with fresh cracked pepper. 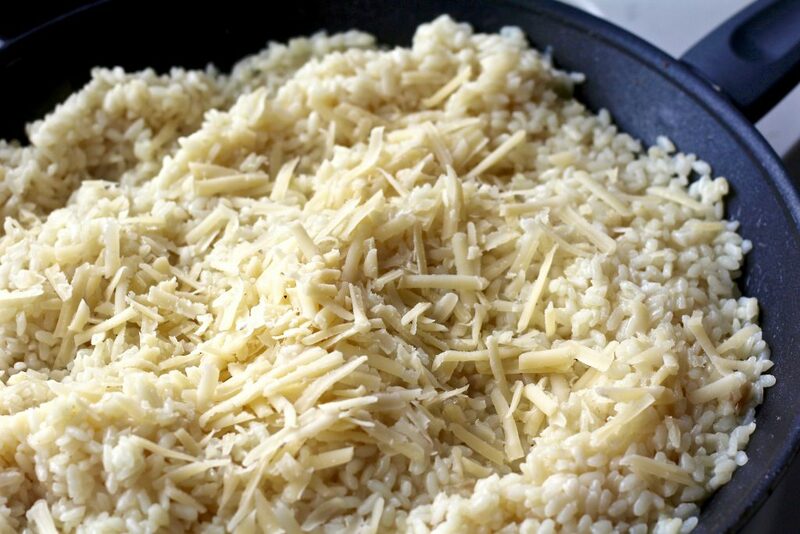 The rice should be cooked al dente (a little firm in the center and not mushy). The chicken broth and white wine create the best saucy texture when combined with the starches in the rice. 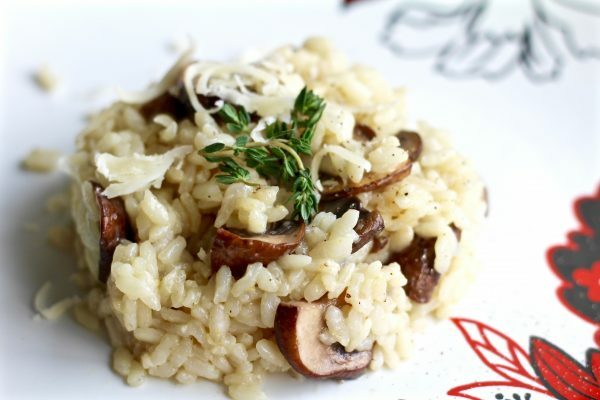 Serve this classic mushroom risotto with this crispy baked chicken or on it’s own for a filling and gourmet tasting meal! Place 5 cups of chicken stock in a small pot and heat to a simmer. This will remain on the stove next to your risotto pan as you cook. 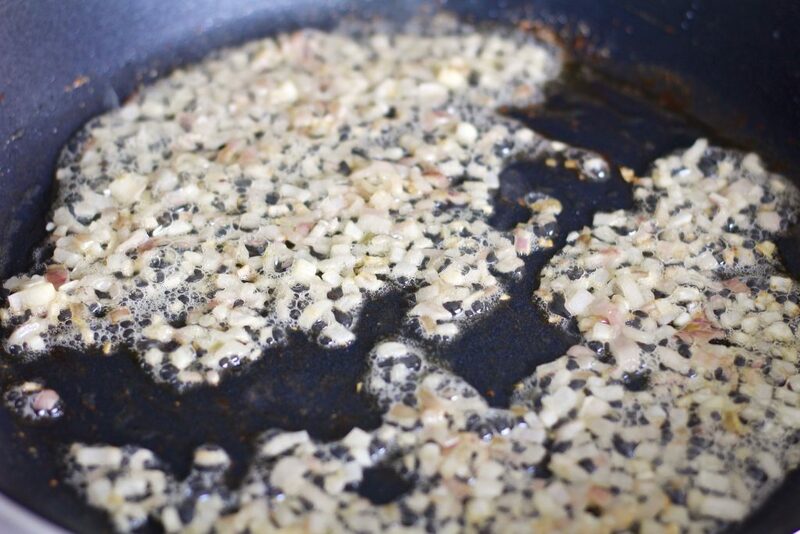 Add the minced shallot and cook for 1-2 minutes until translucent and starting to brown.